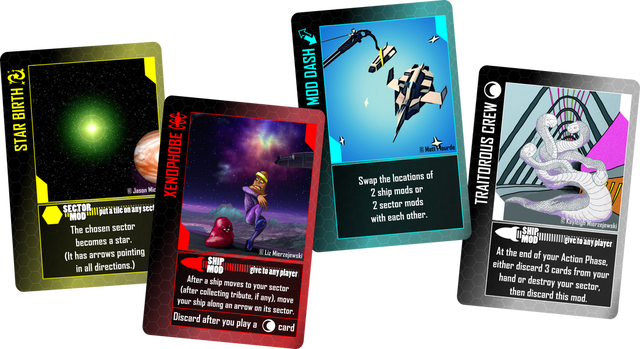 Geek Fever Games is proud to announce the release of Avoid the Void! Kickstarter said no, but we said TOO BAD! We're beyond excited to announce we have launched Avoid the Void! You may remember we attempted to Kickstarter this game earlier in the year. While we came in shy of our goal, the game was simply too good to let it end there. With over 100 backers, we persisted, we found another way, and now we're proud to announce the full release of Avoid the Void! To celebrate this release, we're teaming up with our great friends at The Game Crafter and running a Crowd Sale - better than a Kickstarter campaign, anyone who "backs" us during this week will get their game shipped to them within a couple weeks, at a substantially reduced price from retail!! Starting today you can place your order for Avoid the Void! Visit the Crowd Sale page to reserve your copy, and then you can keep checking back during the week to see how much your price has gone down! Crowd Sales are a lot of fun, because the more copies of Avoid the Void are bought during the week, the cheaper it is for everyone! If at least one person buys Avoid the Void, the price already goes down by more than 10% from its retail price of $44.99. And the prices get better and better for each 10 copies purchased. If 100 people bought one copy of Avoid the Void each, the price would drop 35%, to under $30! The Game Crafter ships internationally, so non-US residents can get the game shipped directly to them! You can bundle your Avoid the Void order in the Crowd Sale with the previously crowdfunded Geek Fever Games title Awesome Bots! Anyone who gets Awesome Bots will see a discount of at least 20%, getting the $24.99 game for $19.99 or less! You won't see pricing this good again! Avoid the Void will be available after the crowd sale at its standard retail price, but this is the time to get it! So please, share this news with everyone - you'll pay less if more people buy it! And of course, you can buy multiple copies yourself, if you're so inclined! We made it! Despite the obstacles we faced a couple months ago, Avoid the Void is simply too good a game to not push past the finish line. Through a lot of blood, sweat, and tears, we could not be more proud to announce the release of Avoid the Void! To celebrate this release, for 1 week starting Monday, August 29, we're teaming up with our great friends The Game Crafter and running a Crowd Sale - better than a Kickstarter campaign, anyone who "backs" us during this week will get their game shipped to them within a couple weeks, at a substantially reduced price from retail!! Starting Monday, August 29, and running for a week, you'll be able to place your order for Avoid the Void! Visit the Crowd Sale page, and click on the "Remind Me" link near the top right to get an email when the sale goes live! Crowd Sales are a lot of fun, because the more copies of Avoid the Void are bought during the week, the cheaper it is for everyone! If at least one person buys Avoid the Void, the price already goes down by more than 10% from its retail price of $44.99. And the prices get better and better for each 10 copies purchased. If 100 people bought one copy of Avoid the Void each, the price would drop 35%, to under $30! You can also bundle your Avoid the Void order in the Crowd Sale with the previously crowdfunded Geek Fever Games title Awesome Bots! Anyone who gets Awesome Bots will see a discount of at least 20%, getting the $24.99 game for $19.99 or less! You'll never see pricing this good again! 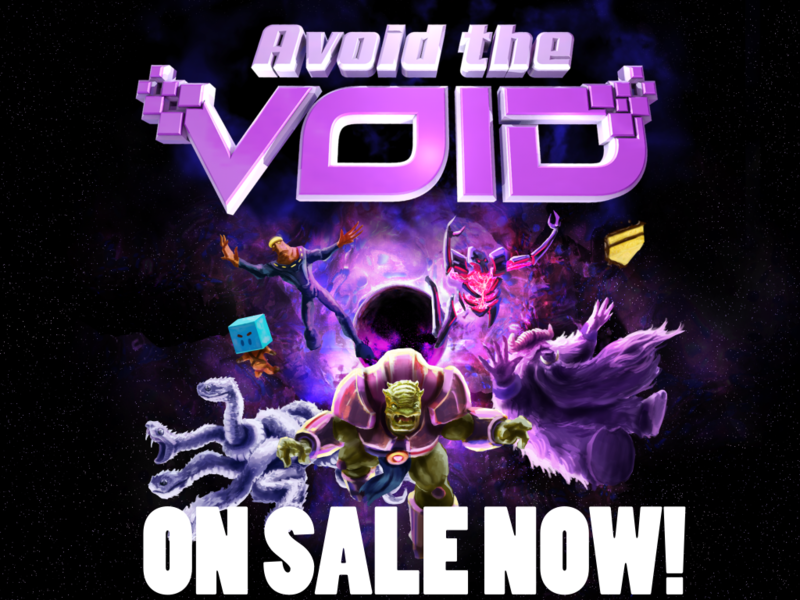 Avoid the Void will be available after the crowd sale at its standard retail price, but this is the time to get it! So remember, share this news with everyone - you'll pay less if more people buy it! And of course, you can buy multiple copies yourself if you're so inclined! Can't wait? Try it now! We have a free Tabletop Simulator module for Avoid the Void - get it here! With the module you can try out the game on your own, or online with others! 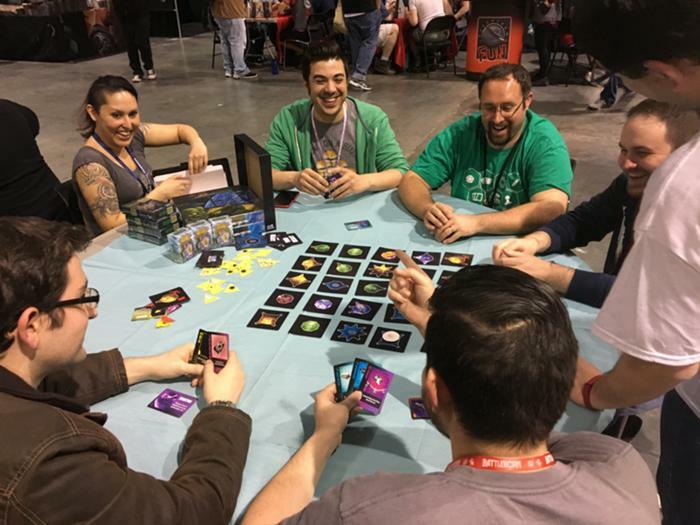 As always, check out Geek Fever Games' Facebook page and sign up for our email newsletter to stay in the loop about Avoid the Void, convention appearances, and exciting news about all of our other games!